Had a great trip at the weekend there with a friend across to try sea kayaking out for real. Mark is from the borders and a 'canoe' man, I hope to get across and try a river trip at the end of the season with him. Sunny and breezy so no midges and perfect for camping! We packed the kayaks and launched at Merkland to head up the coast, no rush, plenty of time to fish for some mackerel and play in the waves. White water waves and strong sun left us enjoying the sea at its best. Stopped at North Glen Sannox for a lunch break as the tide reached its lowest and stood at the mouth of the river we where surprised to see Mullet just feet from us with there fins and tails breaking the surface in the shallow water. Plenty of birds where spotted on the shore as we passed by, Eider ducks with young, Cormorants diving and the Oyster Catchers patrolling the seas edge. The local Swan pair have 4 chicks this year, we kept well clear of these great birds though! We stopped to pitch camp near Millstone Point on the North East corner of Arran, a good landing spot and flat area to camp seemed made for the job. Mark is real keen on bush craft camping and soon there was a good fire and the fish cooking. I busied myself with drying all the gear and set a line up with tow ropes and paddles to hang the paddle gear on. Taking a look around there where lots of edible plants about with wild Thyme right at the shore side, Thistle and Burdock nearby and endless shellfish on the rocky shore. The beach is littered with dry firewood here and ideal for wilderness camping. An interesting thing to note is a cave on the shore nearby that must get regular use with glass and clothes left inside, but with some clues that give away a much older connection to human habitation. Mark spent some time looking at the plants and ground around the entrance with a view to finding a midden heap, which he did, and identifying some of the plants and looking for water courses nearby. Everything indicates ancient use with Burdock just outside amongst other plants and an area of grass with lots of shells just underneath, a midden heap, and good water very near. It would be a guess, but probably used for thousands of years. Later that night on a stroll along the shore to the Millstone Point we heard a series of scratching sounds from the undergrowth, we stopped and where soon given a great view of a badger foraging in the bracken. It was oblivious to us, about 20 yards away, as we stood downwind and we got to watch for a good while. We carried on to Millstone Point, so called because this is one of the only places on Arran, that I know of, where millstones where cut. There is still the remains of a whole stone on the path there. The whole area up near Laggan was once very busy with a coal seam being worked and salt pans working for the Herring industry along with Laggan Cottage being a farm with stone walls running all over the hill. Further south an older settlement lies in ruin. Next day we broke camp and headed down past Sannox and Corrie back to Brodick to finish the trip, surfing on the southbound waves the progress was fast and fun. The whole trip though only short and within the shores of Arran was a real treat. Arran has a lot to offer the adventurous traveller and when the weather is good why would you go anywhere else? Wildlife at every turn and the sea kayaks get you so close that sightings of otters and wild birds are regular and enjoyable. Have heard the basking sharks are back and dolphins again cruise the Clyde. Took a notion a while back to try and capture some pictures of the Brodick Bay at night. I was originally drawn to the lights reflected on the water from the village and from boats at anchor out at sea. So at about 11:30 with tripod and head torch this image was taken along with a few others. Apart from straightening, cropping and the addition of the black border and copyright this image has had no manipulation in photoshop. This is straight from camera as far as colour is concerned, with about 1 1/2 minutes of exposure to get the right light levels the colour is just great. To the naked eye it was more or less pitch black with a faint glow from the East. So all this light is from the town lights of the Ayrshire coast out towards Ardrossan, light pollution. Or is this recycled light? As far as the technicalities of taking these shots are concerned the hardest thing is to focus, with so little light available the viewfinder was black so had to range find and hope. I am really pleased with the final images and the intense colours, there is a strong human element in them, one of the set includes an extra element of illumination from the headlights of a passing car on the Merkland road. 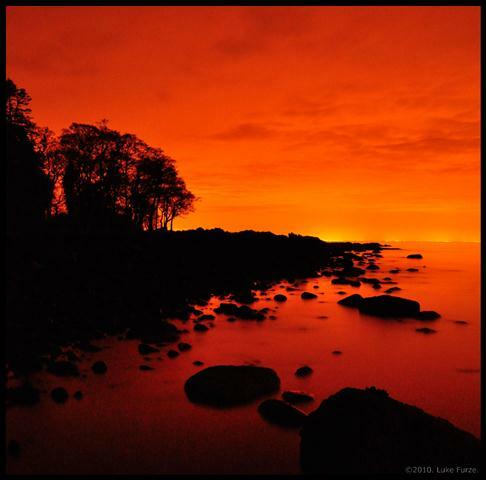 Check out the others from the Environmental Images gallery at Luke Furze Photography. 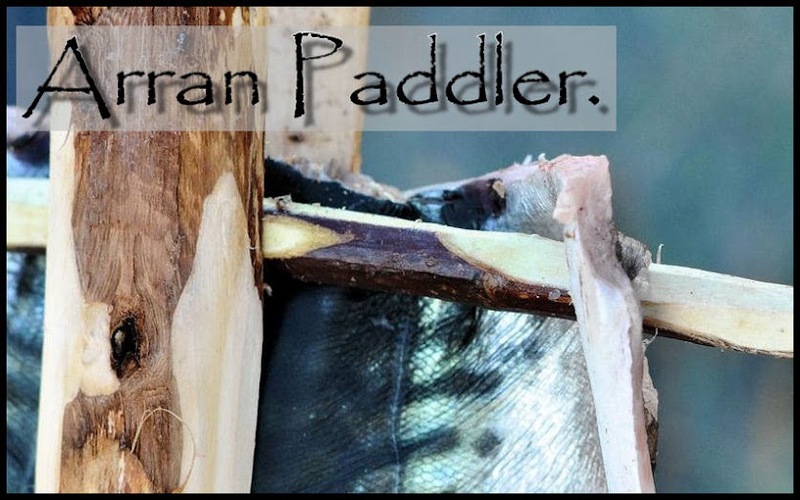 Well here we are and the first post on Arran Paddler. Thought I would start with an idea that has been running around with me for a while now, building a kayak. I got some ideas and putting them here should, maybe, help to realize them. So, sounds easy enough you say? Should be, just got a few questions first like how much time have I got? What style of boat and in what construction? In wood or plywood or a real old fashioned Greenland replica in wood and canvas? Thing is I love them all. So what should I do now? This is a fantastic design by Bjorn Thomasson. Called a Black Pearl. It is a strip plank build and oh so very nice. This is a Tahe Marine Greenland, a production boat, very nice though and with great reviews. And this is a skin on frame,SOF, boat ready for its skin! 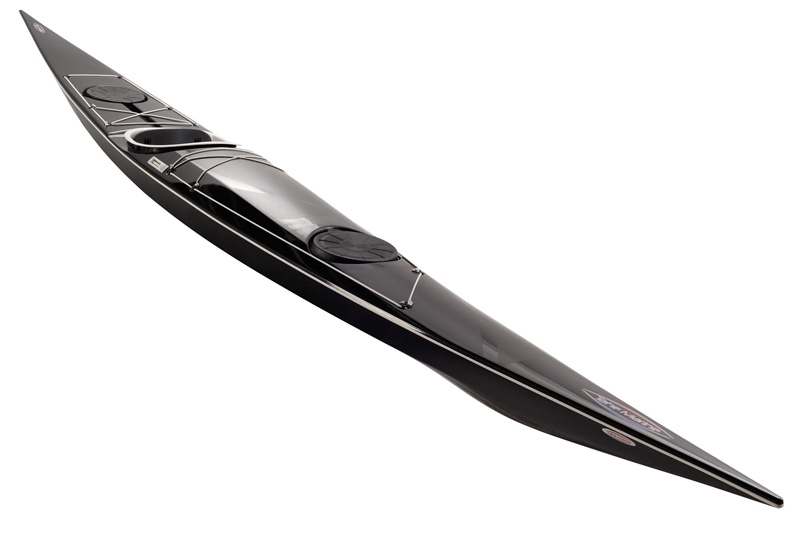 So I have some thinking to do on what boat to try, do I go out and buy a finished boat or build a strip plank masterpiece or go the fast and cheap way of a SOF boat?